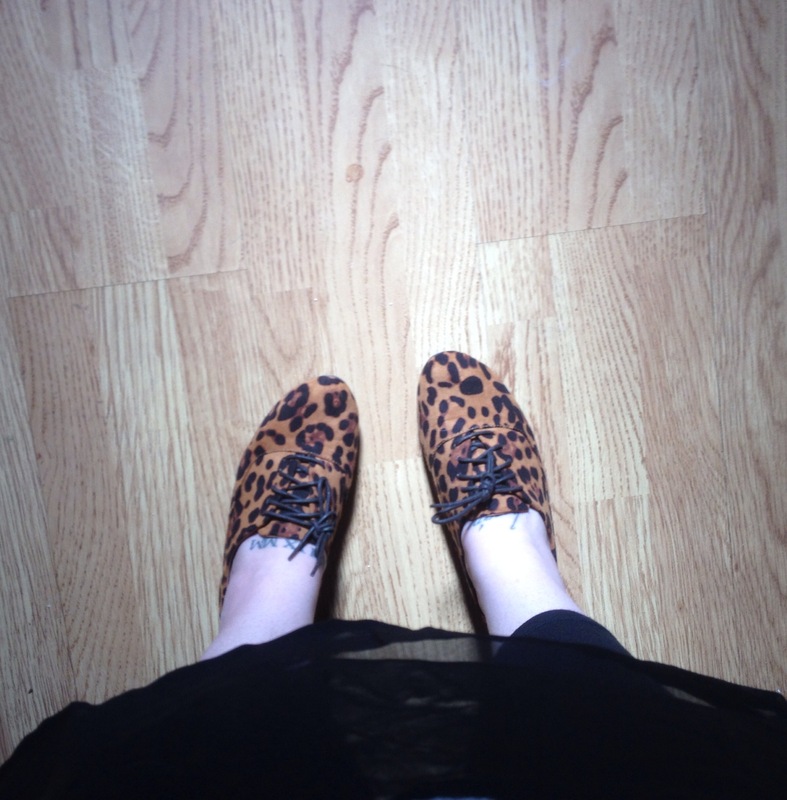 Hey, I put some new shoes on…. Unfortunately I am still ill. It’s frustrating & not a lot of fun. It also means that I haven’t been going anywhere other than medical appointments & the corner shop, which accounts for my lack of posts. I finally ventured out today to do a little shopping with my mum. It’s the first day in weeks that I have looked half decent, so I took a little selfie to share. Almost everything I wore was a huge bargain; god bless 70% off sales. 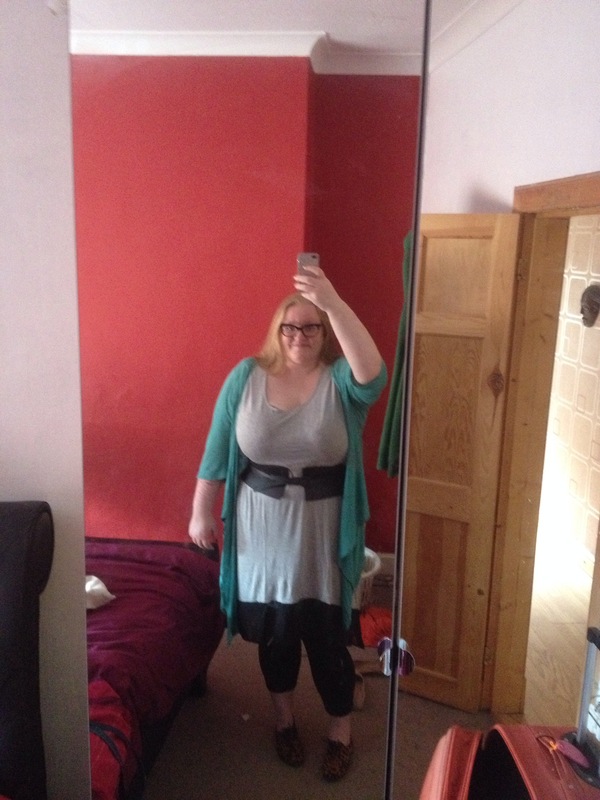 The t-shirt dress is incredibly comfortable & may well be my new favourite casual dress. I wanted to add some grey to my wardrobe now that it’s getting chilly, this works perfectly. The belt is also new & is basically the belt of my dreams. I may well wear it with everything. My adorable new shoes also arrived today. I could not wait to try them. They jumped straight out of the box and onto my feet. I purchased them online from JustFab. I have been seeing a lot of their ads recently & was curious. Their every pair for £35 struck me as little too good to be true. However I was pleasantly surprised after having a neb. Their heels aren’t really my thing, but I loved their flats & boots. As an introductory offer I got a two pairs of shoes for £35, which is an excellent deal by anyone’s standards. I am totally satisfied with the quality & fit. They also have a large selection of non-leather shoes, which is great for veggies. The small disadvantage is that you have to remember to log in every month & declare if you’re not buying anything, otherwise they charge you (the charge is applied to your account as credit). Other than that I would definitely recommend giving JustFab a bash. < Previous a month in the life..